‘Good girls don't fight,’ how many times have we heard it? Too many times, if you ask us. This is exactly why we need initiatives like the Reebok #FitToFight campaign to encourage more women to fight back, rise above challenges, and stand for what they think is right. In the recent Reebok Fit To Fight Awards, as many as 12 champions were acknowledged for their spirit that dispelled old stereotypes. We salute these women from different walks of life who have risen to the challenge using their physical, mental and social strength as weapons and made an indelible mark with their efforts. We hope their stories inspire you as much as they did us. Chhavi Rajawat quit her high-paying job to become the sarpanch of Soda, making her the youngest woman to be elected to that position. She also happens to be the only sarpanch in India with an MBA! She is now working to bring water, solar power, paved roads and toilets to her ancestral village. Geetha Sridhar, a primary school teacher, a MasterChef Finalist and mother to 30 beautiful children! Geetu Ma, as she is affectionately known, is raising 28 orphaned children, all battling various stages of cancer, independently. She has over 10 years experience in the social sector, with her first non-profit organisation growing into one of India's largest youth volunteer networks. Learning from her experiences while working with vulnerable children, she has set up her second non-profit called Guardians of Dreams that aims to transform the quality of childcare provided by children’s homes across the country. Chandni grew up selling roses and corn on the streets, her livelihood for a decade. But she constantly fought against her fate and never gave up. Today, she leads NGOs and is the editor of a newspaper, Balaknama. From her days of being a ragpicker to being awarded the Karamveer Puraskaar, her journey has been remarkable. Known as India's Wonder Woman, India's only female commando trainer who has been training the Special Forces for over 20 years. It gets better—she holds the 7th-degree black belt in military martial arts. She is also a combat shooting instructor and a firefighter. Priya Prakash set up HealthSetGo, India’s largest healthcare organisation and the first 360 degree Holistic Health Programme for Schools, empowering and educating thousands of students. Known as Samurai Amma, Meenakshi Raghavan is the oldest practitioner of the martial art, Kalaripayattu, which is prevalent in Kerala. She runs a school for 150 students and teaches them the ancient art form. Her agility, fitness, offensive and defensive skills have gained her millions of fans across the world. Born in a family with limited means, Kalaiselvi has learnt early in life to make the most of the resources at hand. Barely managing to complete her education, she had never thought of pursuing sports, even though she was interested in it since childhood. Today, SHE is a marathon runner and has many achievements to her name for various marathon competitions. She recently won the first place in 14 km category held at Cochin and has also been selected for national level. Laxmi Rani was married at 18, and her pregnancy made it difficult for her to continue her education. That’s when she found the Internet as an alternative to school and college. Laxmi has helped local farmers learn better practices and get information about the weather and prices in local markets. She is a leading example of how Google and Tata’s Internet Saathi programme has empowered women across the length and breadth of the country. Despite being differently-abled, Vidhya Yellareddy has made a mark in the technology industry. Once criticised by the education board officials for taking math, she went on to top her PG course at IIT-Bangalore. Truly amazing! Masaba Gupta became the youngest fashion creative director at Satya Paul at 24. Her outspoken views, open nature and her belief in always standing tall for what she believes in have made her a woman to be admired. 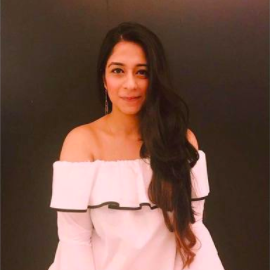 Malishka Mendonsa was in the eye of the storm recently when her video criticising the BMC for their monsoon preparations went viral with over 20 million views. She was appreciated for highlighting an issue that all Mumbaikars face every monsoon, despite reprisals. In addition, five young girls from The Kailash Satyarthi Children’s Foundation were also specially felicitated for their dedication to the cause of women’s and children’s rights. The Fit To Fight Awards were held in an association with Beti Bachao Beti Padhao & ; Kailash Satyarthi Foundation with a vision to inspire the next generation of #FitToFight Women and enable them to successfully overcome their challenges. The awards were also graced by celebrities who have fought their own battles and came out stronger. We’re talking about Bollywood biggies and Reebok brand ambassadors Kangana Ranaut and Shahid Kapoor. Other celebrities spotted at the prestigious event were Malaika Arora, Richa Chadha, and Bhumi Pednekar and many more. We salute all the winners who inspire many out there to be #FitToFight. They are the heroes who deserve this recognition, and so much more. *This is a sponsored post for Reebok.